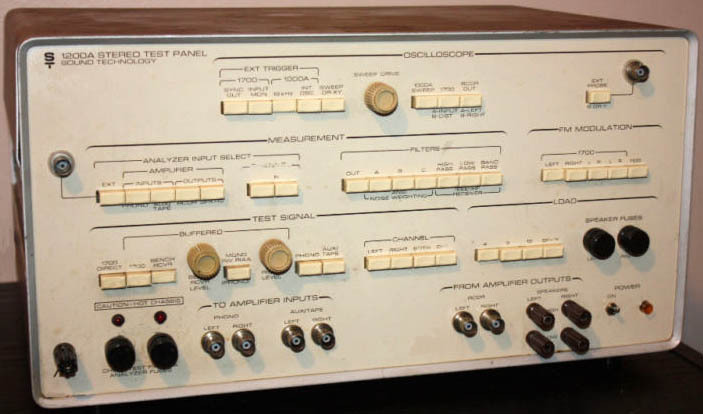 In the 1970s and 1980s Sound Technology test equipment was the best you could get but somewhere along the line the company faded from the headlines. 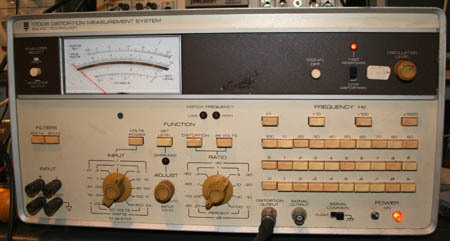 The first dedicated audio test equipment I used professionally was the Radford low distortion oscillator and matching Distortion Measuring System in the 1960s. 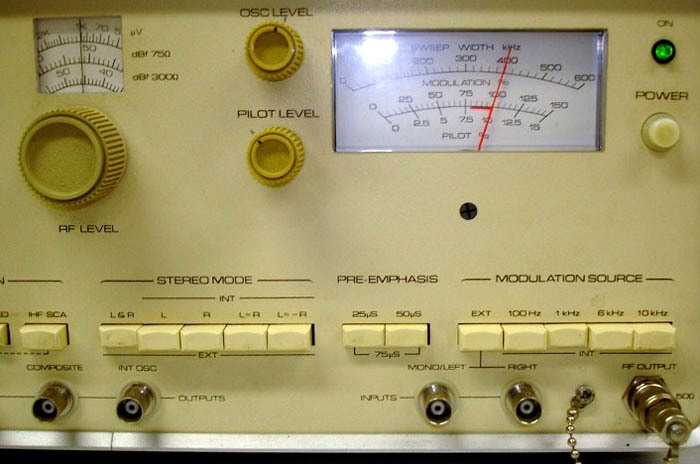 When I moved to Cambridge Audio at the start of the 1970s I was introduced to the Hewlett Packard 334A which was a dramatic step forward because it had automatic tuning so having set the level the distortion figure could be read directly. 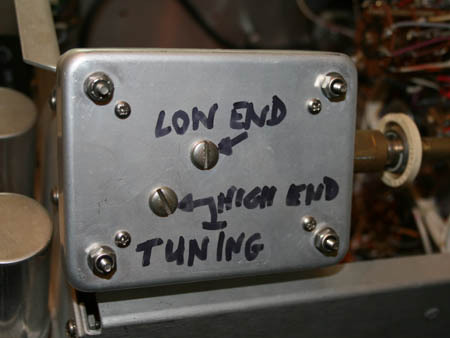 When used with the Radford LDO it could be usefully used to read down to about 0.01% distortion. 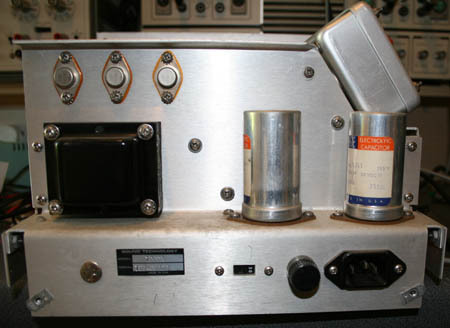 However there was a dramatic change around 1970 when Sound Technology appeared on the scene. A group of ex-HP engineers had got together to design some excellent equipment which was both accurate and quick and easy to use. 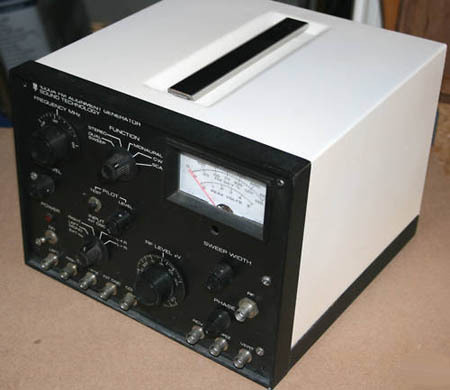 The first product was the model 1000A FM Stereo Alignment Generator. We bought a load of these instruments to use in the factory and also became the UK distributors of the product line. 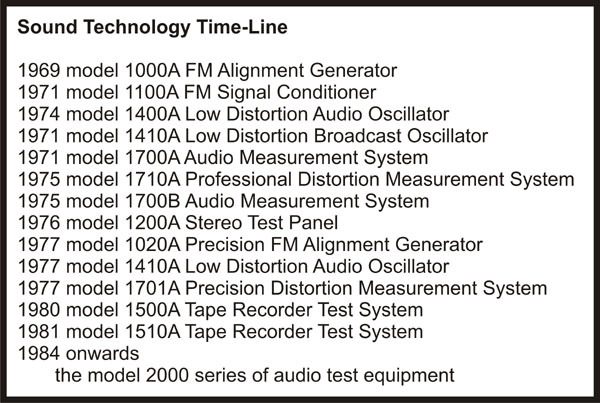 The 1000A was quickly followed by the model 1700A which was a state of the art audio measuring system which could read distortion (THD) down to 0.001% and whose auto-tuning was super-fast. Indeed we ran an advertisement for the 1700A which read “Testing, testing, tested”. 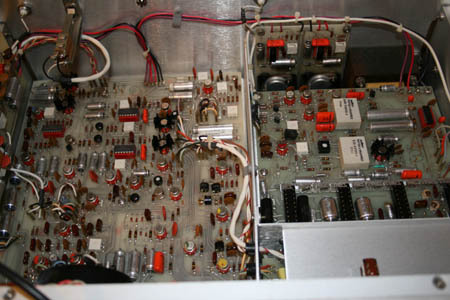 Once again Cambridge Audio used this system throughout the factory; after which it was sold to Lecson, Quad and others and rapidly became the industry standard instrument. 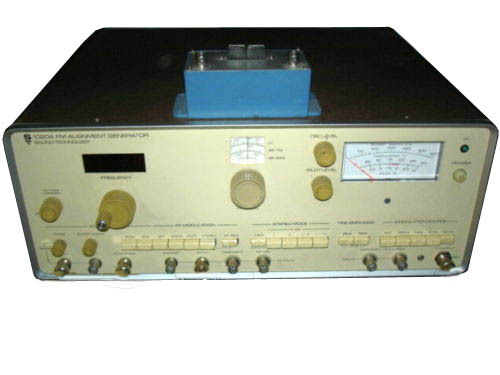 The oscillator section was available as a separate instrument the 1400A. 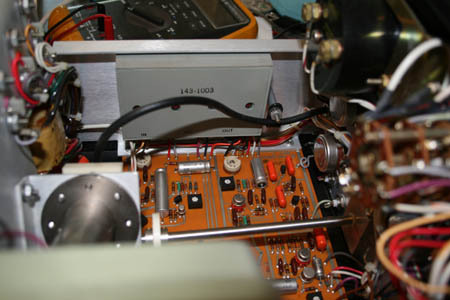 The 1700B appeared next which offered several upgrades. I personally used the 1700B until I changed to the Hewlett Packard 8903 in the 1980s and then to Audio Precision gear in the 1990s. I found Sound Technology equipment very easy to use and very reliable. Indeed I only sold my last 1700B about a year ago and actually found I still had three of the model 1000A generators at the back of the garage. “Googling” the company brings up very few hits and servicing information seems to be hard to find so I have scanned copies of the User/Service Manuals for the models 1000A; 1100A and 1700B together with the original literature; some reviews and some advertisements. If you need them go ahead and download them in PDF format. And if anybody can add anything to my short story of Sound Technology please contact me and I’ll add what you know to this page. 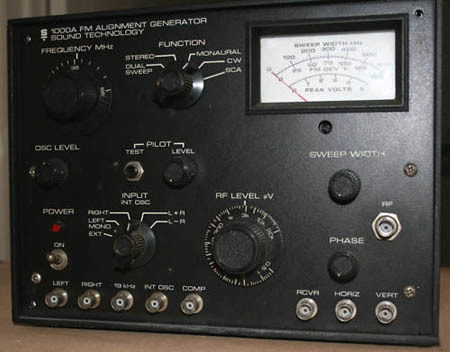 A lot of this equipment is still in use but there is virtually no information on the web. Here you'll find manuals and literature and in time I'll add more information. 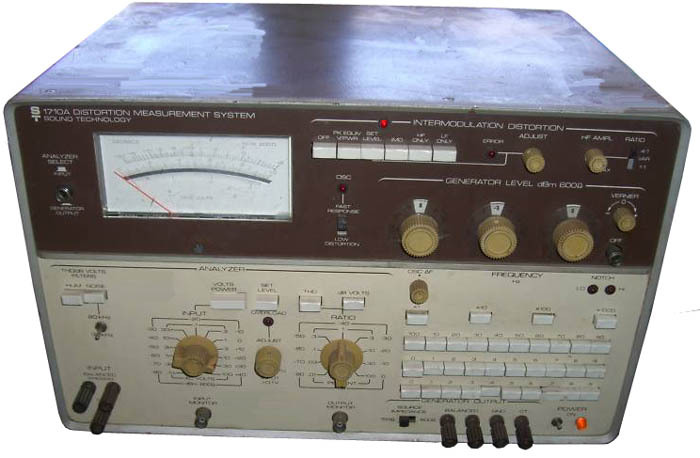 The pictures below show the 1700B Distortion Analyser and the 1000A Stereo FM Measuring System. Below the pictures you'll find PDFs of the manuals and some literature. Some new pieces of literature below have been added courtesy of Fred Rosenberg. Thanks Fred ! 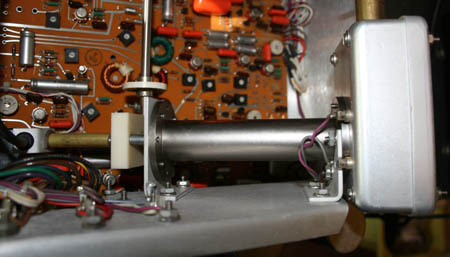 If you would like to upgrade the ST 1000A there is a great article here by Brian Beezley. I've tried the mods and they are really worth doing. 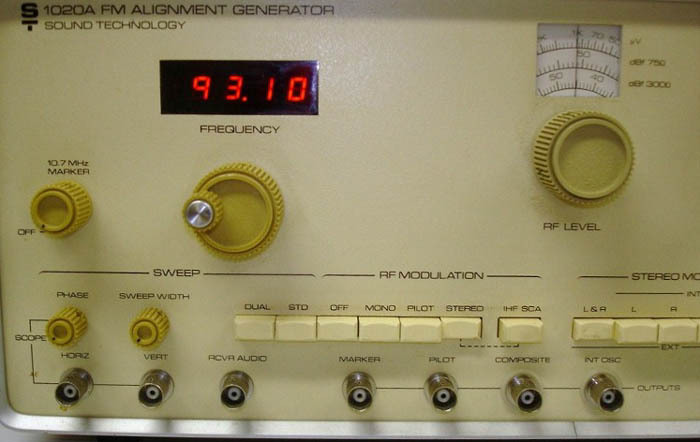 The ST-1000A FM Alignment Generator was Sound Tech's first instrument and was an immediate sucess. 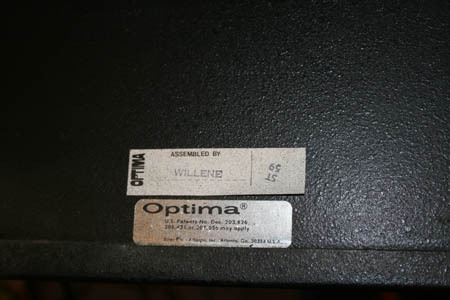 I wonder what ever happened to Willene who assembled this 1000A ? She'll definitely be retired by now. 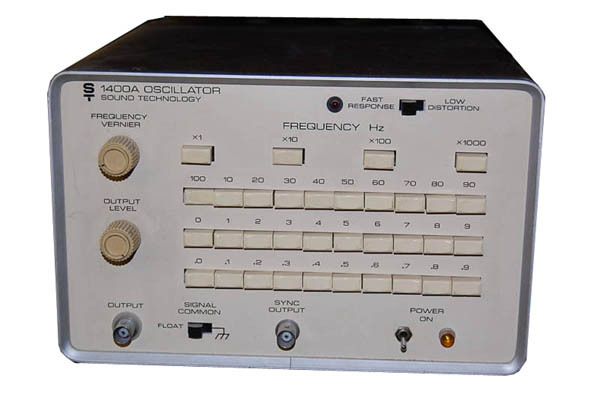 The 1400A low distortion Oscillator was the oscillator section of the 1700A built into a separate case. 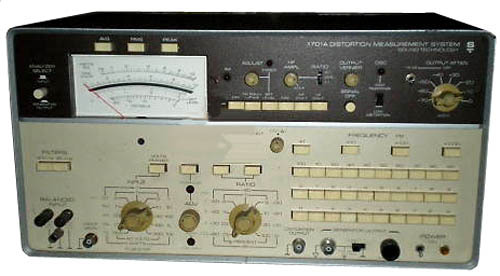 The 1701A Distortion Measurement System was a Pro Audio version of the model 1700A with the addition of an Intermodulation distortion measurement system installed in the middle of the top panel. 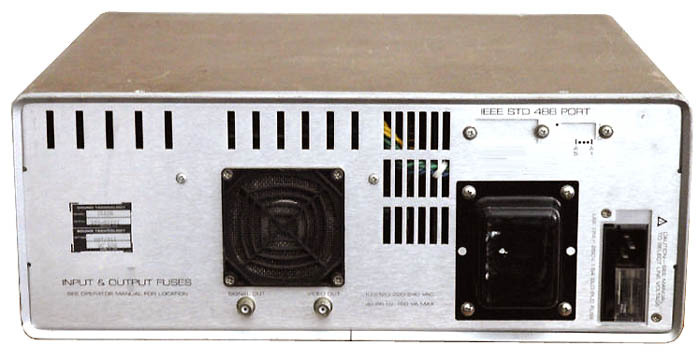 Another popular product was the 1200A Test Panel which could be used with the 1700A & B. 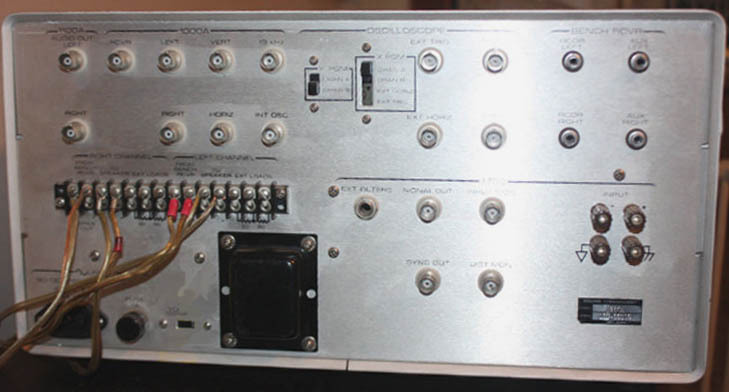 It greatly simplified the task of wiring up a test system since the test equipment and the item under test could be wired direct to the 1200A then all the usual inconvenient cable swapping was avoided by the use of the comprehensive front panel switches. I must admit that I looked at the design and the price tag then promptly built my own copy. 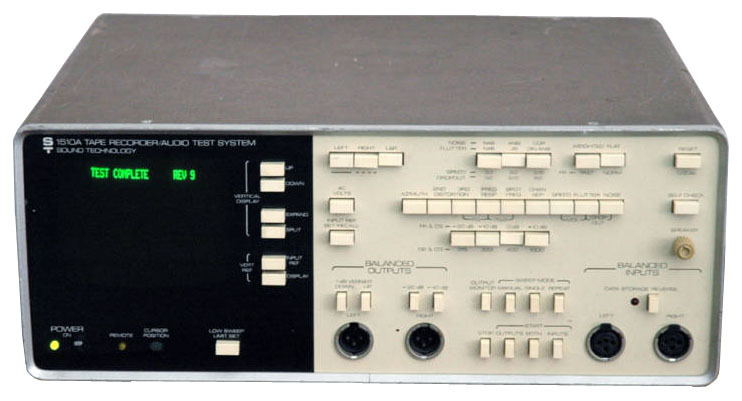 The model 1510A Tape Recorder Test System was a sophisticated test system for tape recorders and record players and ST supplied matching Test Tapes and an LP Test Record. We now have the Operating Manual for the 1510A thanks to Duke Aguiar of Duke Aguiar Engineering Services in Thousand Oaks, California. (email: duke.aguiar@ieee.org) You can download it below. 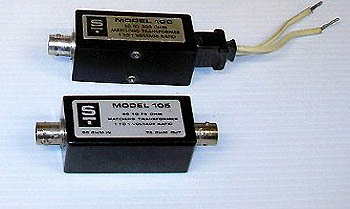 ST offered two matching transformers to cover 50 ohm; 75 ohm and 300 ohm applications. 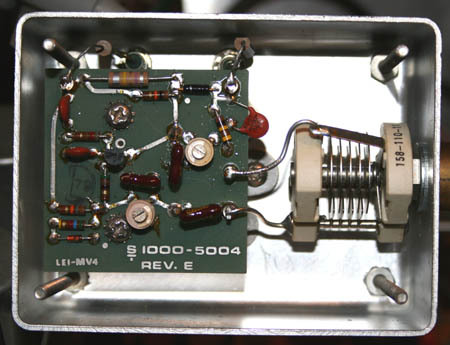 Inside the box was a simple balun transformer. It has previously been very difficult to get the manuals and circuits of these products so I've added some of them to this site together with a few other downloads that might interest particular visitors. If anyone has any documents they'd like to add I'll be happy to host them here.